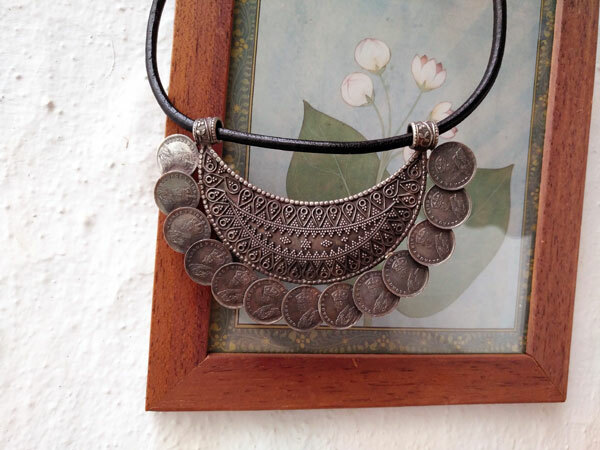 Antique handmade silver choker with a delicate work of filigree and coins. It measures 3.5" wide and 2.4" high. The coins measure 0.6" diameter. 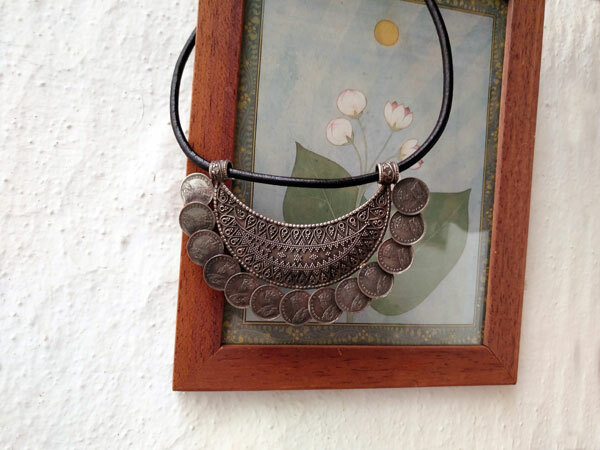 The leather cord with silver clasp measures 20" long.